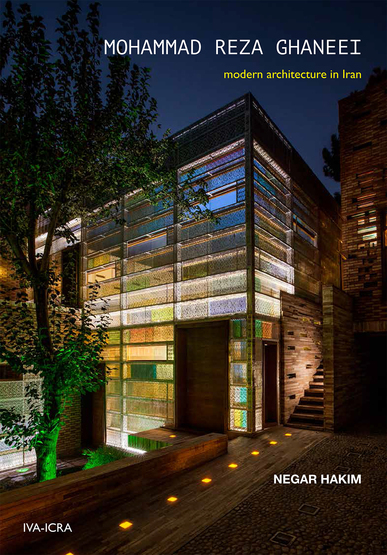 Mohammad Reza Ghaneei (born in Isfahan in 1953) has long enjoyed local architectural recognition as one of the few Iranian architects to simultaneously follow two very different architectural approaches on the Iranian architectural scene: the modernist impulse and a desire to preserve the traditional construction methods. This is how he came to win the Memar Award for rightly placing tradition at the centre of his design approach. And in fact, the preservation of the midJseventeenth century house where his office is located – a project praised by UNESCO – shows how familiar the architect is with traditional construction materials and technologies as well as being able to reproduce them. The works chosen for this book are an attempt to provide a reflection of the long intellectual journey of an Iranian architect. The journey which began in the middle of the second half of the twentieth century by borrowing and abstracting certain major elements from the history of construction in Iran, to be later followed by a quest for the essence of Persian architecture and finally culminating in the 21st century in a more modern creation of what Mohammad Reza Ghaneei calls “poetic space.” In all his works, the architect has strived to produce contemporary Iranian architecture of an innovative quality.